Cheap and abundant. Edible yes but refined - er, no. And definitely not pretty in any way. “A fish that only a mother could love?” was the headline over a piece in The Independent newspaper a few years ago, when the hunt for cheap, abundant fish began to interest food writers. In truth, that article by Josh Barrie (see link below) did assert that the megrim was “tasty”. A similar piece in the Guardian said much the same: “one surprisingly evil-looking fish” (which does seem a bit gratuitous, for the megrim isn’t responsible for its looks), sustainable, “tastes surprisingly good”. But this writer begs to differ as regards taste. I have eaten megrim and it was a satisfactory meal. It fills you up, the same as cheap sausages. But you don’t need to know the price to know they’re cheap. Tasty, the megrim is not. 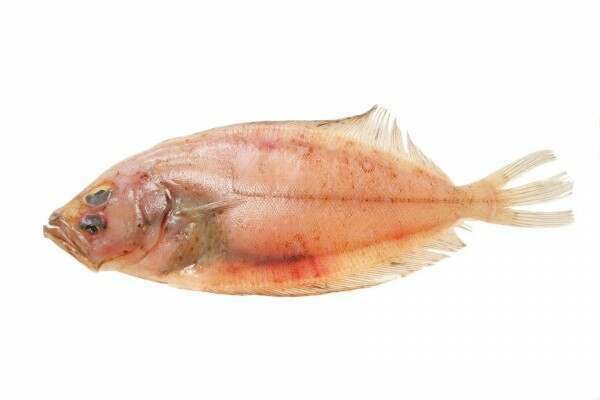 Its slightly oily flesh simply never looks as appealing as a decent white fish (cod, haddock) and in terms of taste, it hobbles in behind all other soles barring the witch and behind plaice and even flounder. Although it does have one advantage – size. 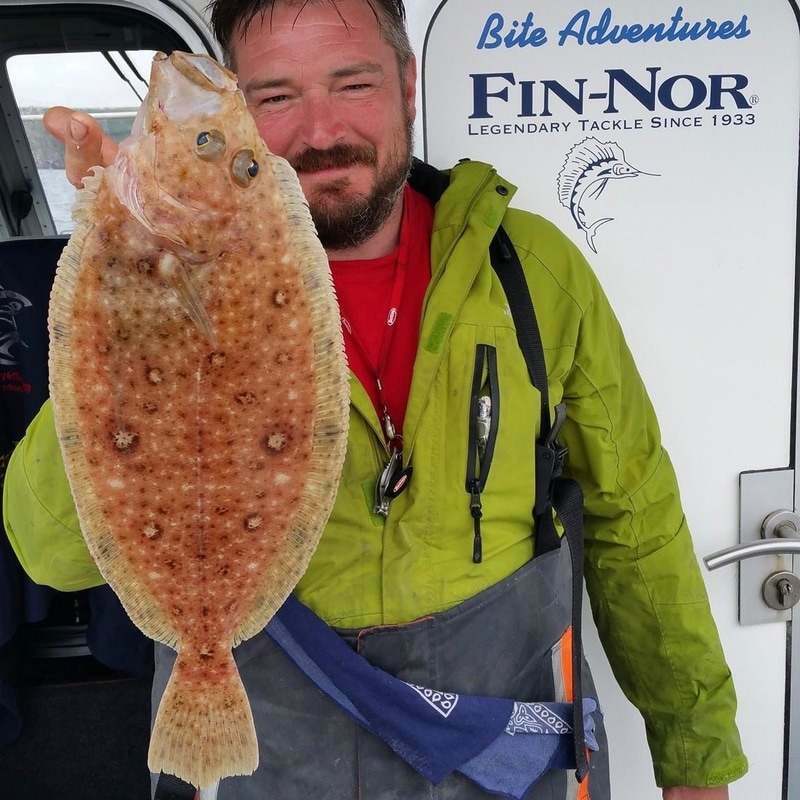 A decent-sized flounder is as rare as a blue moon, but decent-sized megrims – now they are ten a penny. How will this make our megrim customers feel?, I hear my colleagues saying. Aren’t you being rude to them? Well, frankly, I don’t think so. You can judge for yourselves. My opinion is merely my opinion. If Josh Barrie and The Guardian and some of our customers like megrim, that’s absolutely fine. We’re pleased to make it available. But you wouldn’t want me to say it tastes surprisingly good if I didn’t think so. I hope. The megrim is a flatfish. It’s plentiful around the UK, southern Norway, Iceland, France and Spain and somewhat less so in the Mediterranean. According to FAO (Food and Agriculture Organisation – part of the United Nations), total landings across all these areas are about 15,000 tonnes a year, with the UK share about 3,000 tonnes, most of which is said to be exported to Spain, where the megrim is more popular. It’s known there as the gallo which translates to rooster. In fact 15,000 tonnes probably understates the facts because megrim is a very cheap fish and many fishing boats have historically (and in all probability continue currently) to discard it, because the price it fetches isn’t worth the trouble of dealing with it. There’s a very similar species, the four spot megrim (Lepidorhombus boscii) with four grey spots but otherwise indistinguishable. And then there are the names, which are quite cute. When the name megrim was adopted is unclear. Historically it was the fluke, or sail fluke and, quite endearingly the whiff. 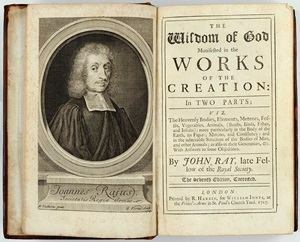 Whiff was the name used in Cornwall when seventeenth century scientist John Ray came by. He recorded it in a landmark book on fish science in 1686. Twenty years later, whiff was incorporated into the scientific name by another scientist, Johann Julius Walbaum or Germany, who also gave us two other memorable names: Oncorhynchus mykiss (rainbow trout) and Sardina pilchardus (have a guess). And the New Name: Cornish sole. It certainly has a better ring than megrim, but is it honest? And whilst on etymology, we must tell you that in New England, a megrim is a migraine. The Fish Society once shipped 20 kilos of megrim fillets to a New England scientific society which was running a conference on “megrims”. Sadly, they were delayed at the airport and arrived two weeks late. Enough of that painful memory. Undoubtedly, thanks to the writers quoted above and many others such as the Fish On Friday Campaign from The Worshipful Company of Fishmongers (alliteration got the better of their their blogger: “Magnificent megrim”) we are seeing more of megrim. Every celebrity chef has done his bit. Rick Stein offers fillet of megrim with salsa verde mayonnaise, James Martin proposed replacing Dover sole with megrim in sole meuniere and Nathan Outlaw does megrim with roast garlic and potato puree finished with grape dressing. Tom Aikens and Jamie Oliver also sing its praises. With all that free marketing power behind it, the megrim is slowly making progress. Indeed, thanks to all that, it has become a steady mover for The Fish Society. Thankyou chaps. Megrim is not a good looker to start with. But after a couple of days in ice, it looks a nightmare. The fins always go spikey and the colour fades away. This is the best of 41 megrim images from Adobestock. It helped The Independent make its point (see above) about only its mother could love a megrim. But Wikipedia surely had menace on its mind when it used this one. To make up for all these injustices, here’s a picture of what the megrim looks like straight out of the sea. Imagine how fantastically camouflaged he would be on a sandy sea bed with a good smattering of stones. This seems to be an unsual dextral specimen, with its eyes on the right side of its body - compare mouth and eye positions with pictures above.